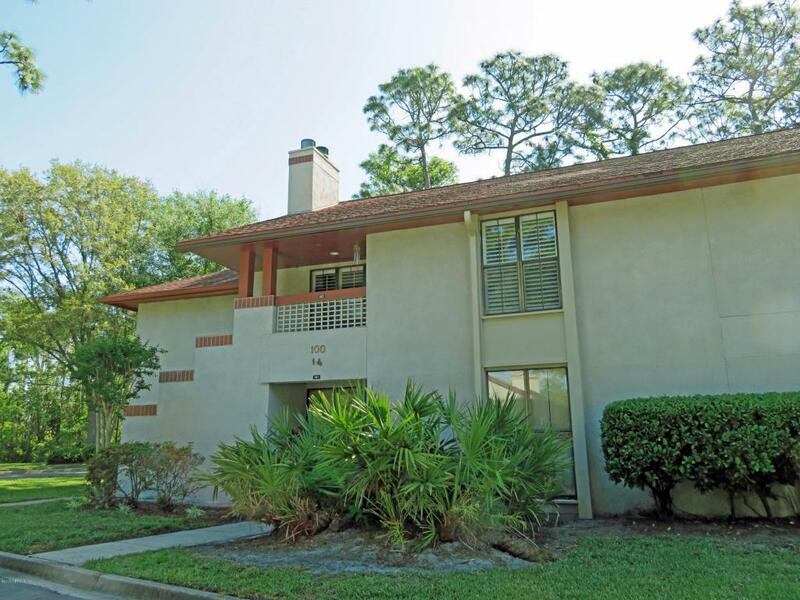 Welcome home to this wonderful exceptionally upgraded 3 bedroom, 2 bath condo with wooded & water views built in 1984 with 1700 square feet of living space that includes 170SF glass enclosed Florida/sun room. Everything has been updated in this fantastic condo with split floor plan. Interior features include 71/2'' plank engineered wood floors, raised panel interior doors, marble look vinyl, upgraded lighting, stacked stone fireplace, recessed lighting, ceiling fans, security system, inside laundry with washer & dryer, built in entertainment niche, & shelves, wet bar, ultra violet film on windows, new water heater, new interior paint, digital thermostat, plantation shutters, newer base/trim, & slow close toilet seats. . see MoreKitchen has raised panel white cabinets with stainless hardware, eat in nook, beveled edge countertops, pantry, new deep sink with sprayer feature, new marble look vinyl floor, slate stone backsplash, recessed lighting on dimmer switch, new dishwasher, & disposal, self cleaning oven, refrigerator, & counter top microwave. Private owners suite has ceiling fan, barn door, his & her walk in closet, wood floor, linen closet, tub/shower, & single granite vanity with vessel sink. Outstanding Southside location & completely updated interior makes this a great place to call home.